One of the things that I watch regularly is the twitter stream and hashtags for #weekendtesting and its variations. First, I want to see what is going on with all of the different chapters, and second, I want to see what the reactions are to the sessions. One comment that caught my attention was "in the new year, could we make sure to add some more fun to the sessions"? This got me to thinking how we could address and add more fun elements to Weekend Testing. The challenge is that "fun" is subjective. It is fun to test a game? Is it fun to test a media player? Is what one person considers fun necessarily going to translate to what another person considers fun? Honestly I don't have the answer here. But you might :). 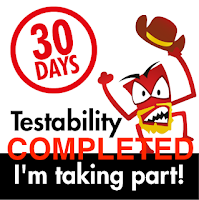 So i'm asking the broader testing community, those who are regulars with weekend testing and those who are not or are not yet... what would you consider to be a "fun" testing challenge? What would you like to see weekend testing, from any of the chapters, tackle in the future? Are there particular apps you would like to test? Should we venture into online games? What do you personally consider to be fun? 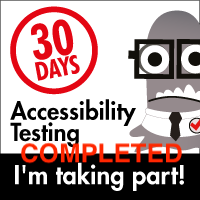 Your comments will help us make for more engaging, more focused and, dare I say it, more fun testing sessions, so if you have an idea, we'd love to hear it :). I find drawing complexity out of simplicity fun. Testing very basic programs sounds like fun times. That said, if it is not fun and people are joining in so they can "take their medicine" perhaps they should say so and seek out learning opportunities or feedback from the group about where they can go to rekindle their enjoyment of testing. I greatly enjoyed testing corkboard.me and budgetDS. As with most things, WTA is what we make of it. If you're not having fun, say so and try to think of what *you* can do to make it fun within your role as a participant.